ULOG-CURATOR: We Select Good ULOG Post Content To Help Popularize #ULOG. To support @surpassinggoogle to popularize #ulog, the team #unlisteemersph will curate #ulog with good and fresh content. Selected quality contents will be upvoted by our curation trail of 10-15 upvotes. Our upvotes may not have big value but it means we appreciate your content. Our group account @unlisteemersph will feature #ulog post with good and fresh content. The curation trailer will be lead by @coolarth and @mrxplorer. If you want your post to be reviewed, you can follow @coolarth, @mrxplorer and @unlisteemersph. 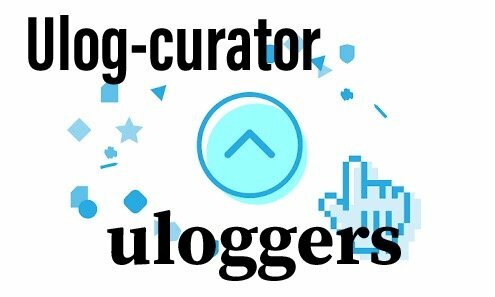 You can put the #ulog-curator in any part of your post so we can easily see your posts. We will curate only 5 to 10 post per day because we will be voting at 100% , we don’t have much Steem Power. Let’s start now in building our #ulogacy. Please support @surpassinggoogle vote him as witness, type "steemgigs". We also support his other brainchild projects such as #untalented, #steemgigs, #teardrops, #steemsecrets, and #ulogs. Do you want more upvotes? You can avail of our UPVOTE SERVICE. We are glad to provide you with our services. Thank you. If you use steemauto, you can follow the curation trail of @coolarth and @mrxplorer to help more steemians and uloggers! Steem Power deligation is very much welcome!